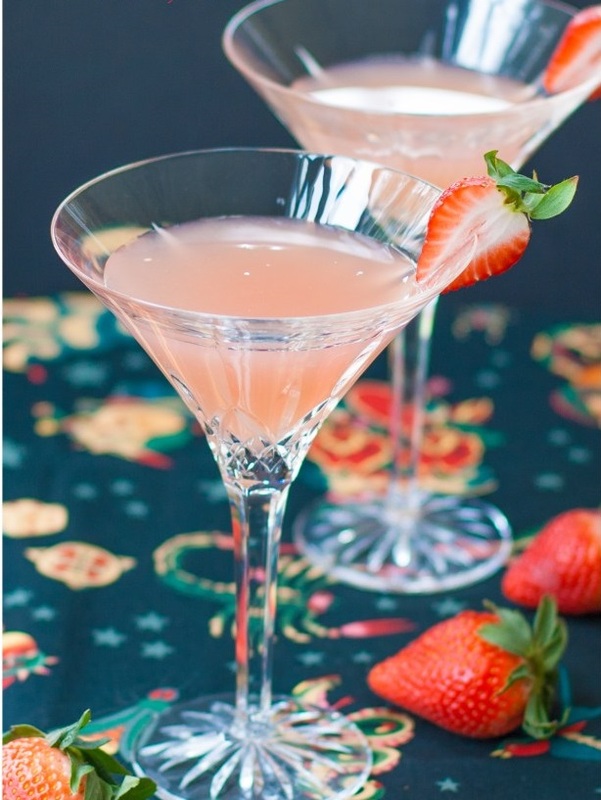 Add the vodka, ice, grapefruit juice and peach schnapps into a martini shaker and shake it to mix well. Pour into martini glasses. Garnish the rim of the glasses with half a strawberry each. Serve immediately.